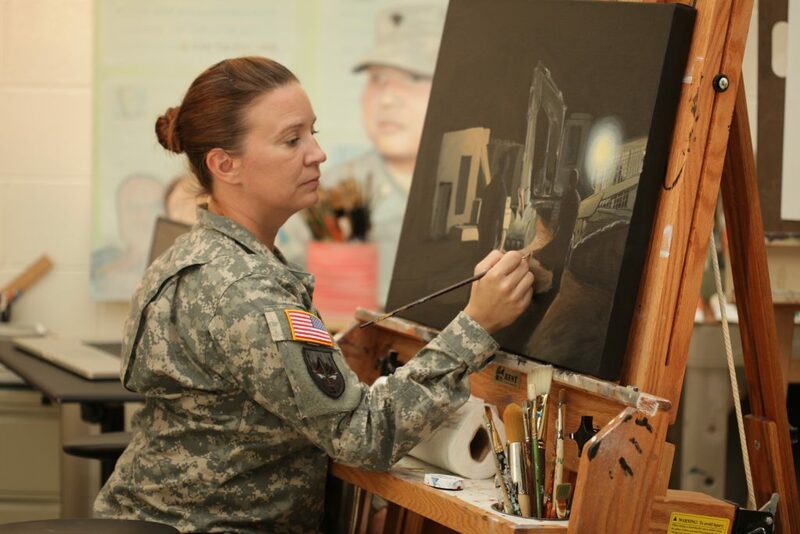 Sergeant First Class Amy L. Brown, the U.S. Army Center of Military History’s (CMH) current Artist-in-Residence, first came to CMH in 2012 after serving as an instructor at the Defense Information School, Fort Meade, Maryland. Not long after arriving at CMH, Brown deployed to New York and New Jersey in the wake of Hurricane Sandy to record the Army’s disaster relief efforts in the Northeast (see the Fall 2013 issue of On Point). In July 2013, Brown deployed to Bagram Airfield, Afghanistan, to document the drawdown of U.S. Army forces in Afghanistan. Assisted by Master Sergeant Lyle Babcock of the 141st Military History Detachment, Washington Army National Guard, Brown visited nine forwarding operating bases (FOBs) in forty days. On occasion, while visiting a FOB, Brown came under fire when insurgents lobbed mortar rounds against the American position. 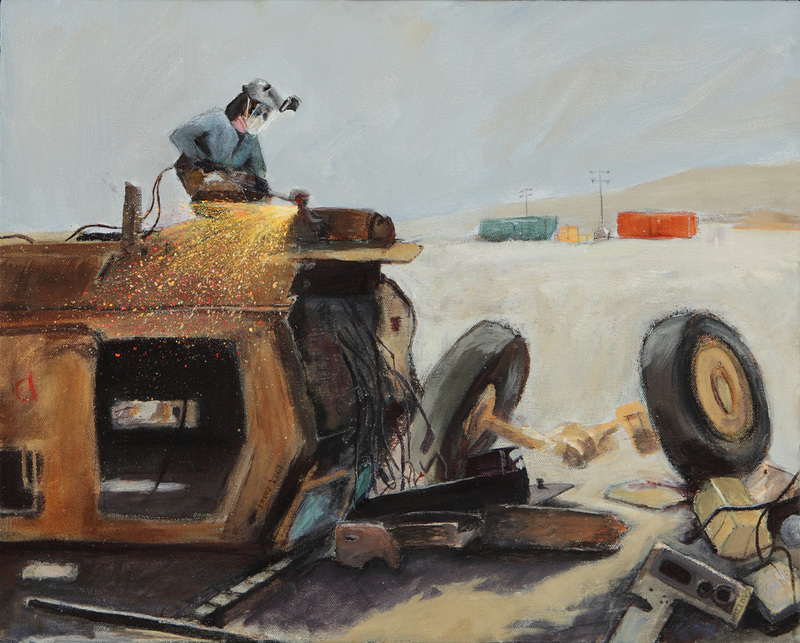 During her deployment to Afghanistan and her travels to FOBs and other installations, Brown carried her watercolors and acrylics in Altoid tins, and sketchbooks, pens, and pencils in ammunition pouches, and used them to sketch scenes she came across throughout the county. Unfortunately, according to Brown, pens frequently exploded in the 100-plus degree heat. Among the scenes documented by Brown was the controversial dismantling of surplus Mine Resistant Ambush Protected vehicles, known as MRAPs. 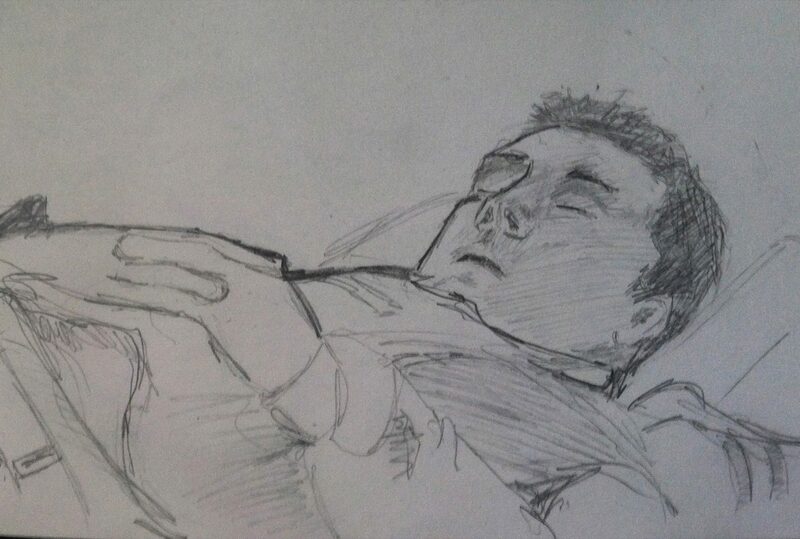 By the time Brown’s deployment came to an end in September 2013, she had filled three sketchbooks and created an additional fifty loose sketches. 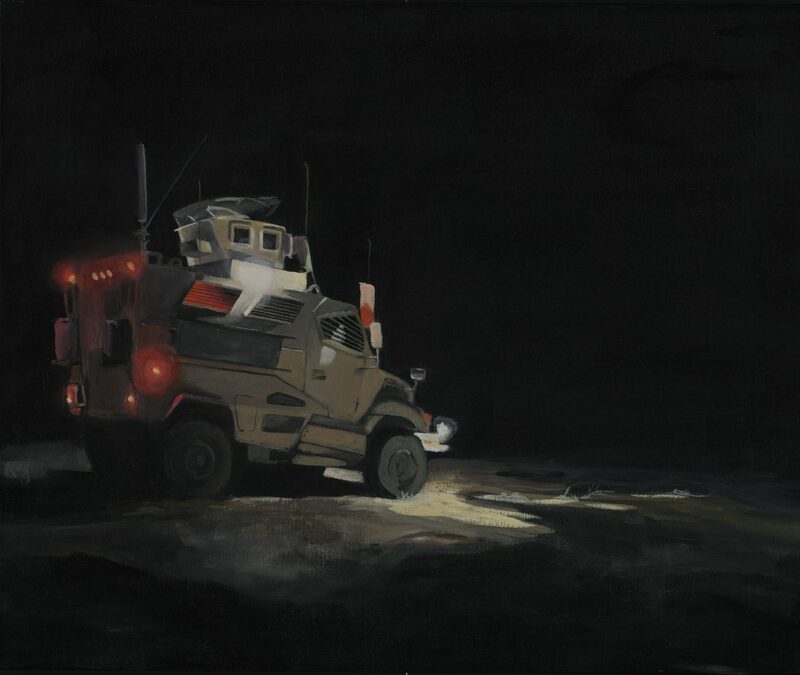 Since returning to her studio at CMH’s Museum Support Center at Fort Belvoir, Virginia, Brown has painted three full canvases based on her sketches of Afghanistan and has another five in the works. She has also painted on ceramic tiles, creating works similar to those found in Afghan markets by local artists.